What’s the first reply you’d come up with if someone asked what your main goal is in preparing food for the backcountry? My guess is you wouldn’t say “Ehhh, I don’t give it much thought. I’m just out there to survive”. 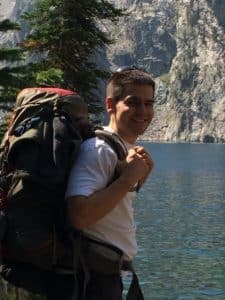 A person could theoretically throw some rice, a few packets of seasoning, and a stove in their pack for a few days in the backcountry and survive. Though there’s some truth in this, I’m willing to bet they’re left longing for the comfort a full meal brings. Protein is more than filling; it’s the keystone nutrient working to repair worn body tissue after a tough days hike. You might recall a person needs between 1.2-1.8 grams of protein per kilogram of body weight. To call a meal without protein incomplete would be an understatement. Here are a few ways to add a healthy portion of protein you’ve dehydrated and prepared yourself. My first attempt at chicken was abysmal at best. I was left with 3 trays of peppered white leather strips that are still in my freezer and used to pry rusty nails from woodworking projects. It wasn’t until I got an insider tip (Glen over at Backpacking Chef) that the best DIY dehydrated chicken comes from a can. It’s a stretch for me to recall stuff from last month, but my days in food chemistry lectures lead me to believe the pressure retains the chemical structure of the protein. This, in turn, allows the juice to stay in the chicken and retain the moisture when rehydrated. Theories aside, use the canned stuff unless you’re looking for more mini-protein crow bars. This has bar-none been the most versatile and easy to rehydrate protein I’ve tried. It’s versatile, tasty, and healthy to boot. Another insider tip when dehydrating this stuff is to use 93% lean (or leaner) while adding ½ cup of bread crumbs when cooking. This helps with the rehydration process. 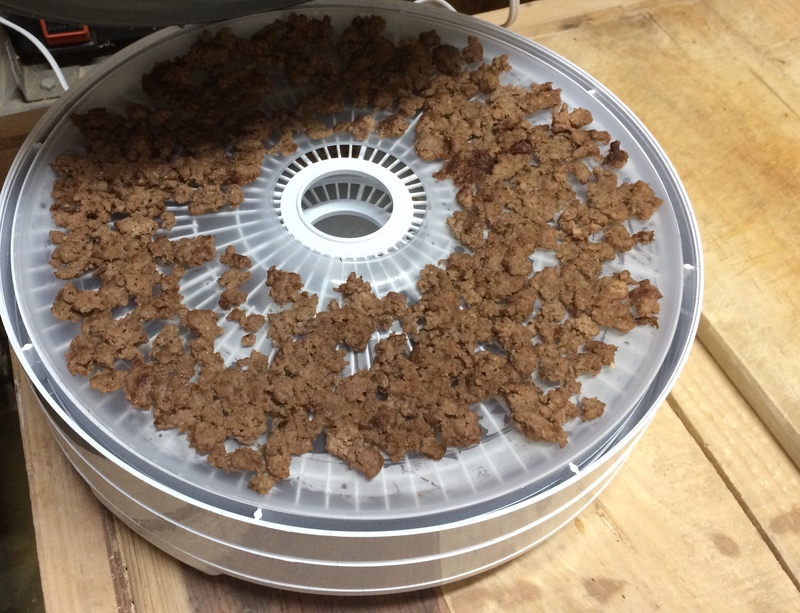 Sometimes you’re short on time and do not have the 20 minutes it takes to prepare and cook ground beef, much less the 10 hours it will take to dehydrate it. 1. Mountain house makes a freeze-dried chicken you can buy in a #10 can (about 1 lb). This obviously isn’t completely DIY and averages out to be about $3.70 per serving, but can be a convenient fall back when added to a bag of rice with seasoning or macaroni and cheese. I’d suggest throwing one heaping cup in a meal. This will give you an impressive 225 calories and 30 grams of protein. 2. The second fall back is your humble foil pouch. You can pick up tuna, salmon, or chicken depending on what else you have on the menu for the evening. One personal favorite was 1 cup of rice with a vegetable soup base and foil pack chicken. I engulfed this concoction after a tough hike to “Locals Would Kill Me Lake” in Idaho’s backcountry (disclaimer: not a real lake name). 3. The third is TVP; textured vegetable protein. Foreign to most, I know. This, in short, is soy crumbles. “Aren’t you worried about the long-term effects of soy and estrogen? !” First, no, I’m not. Second, I’m not eating this day-in and day-out, but I will pick some up from the bulk bin of my local grocery to toss in a bag of dehydrated chili in an effort to up the protein. Here is where our “you can dehydrate anything!” theory falls apart. Fat by chemical makeup has very little-to-no water to be removed, thus making it a poor candidate for dehydration. To further ostracize the nutrient, its oils can go rancid causing a less stable shelf life than our beloved carbs and proteins mentioned earlier. Whole eggs, fatty ground beef, sausage, and the like will dehydrate…sort of. You’ll be left with a greasy end product that will not rehydrate well and likely go rancid before you even get the chance to use it. What, oh what is a backpacker to do? Enter EVOO. The humble bottle of EVOO (kitchen-speak for extra virgin olive oil) is a must in the backcountry. It’s versatile enough to throw in your meals as a good source of fat in DIY meals while also being a great way to create a non-stick surface for cooking up a beautiful rainbow trout caught in the backcountry. If you’re like me, you’re quick to think of nuts for trail mix and calorie-dense snacks during the day, but will often overlook them as a part of evening meals. When I do remember how much flavor these suckers add to a meal, I’ll toss a handful of cashews into a bag of DIY chicken curry, or walnuts into a couscous mix with cranberries in the evening. Calorie and nutrient-dense foods are hard to come by in the backcountry and nuts are a quality source of both. Protein is arguably one of the toughest nutrients to smuggle into the backcountry. We’ve given you a handful of options to get some extra protein in your meals so you can avoid having to formulate a breaking and entering plot to use the fridge in the cabin you spotted on your last scouting trip. 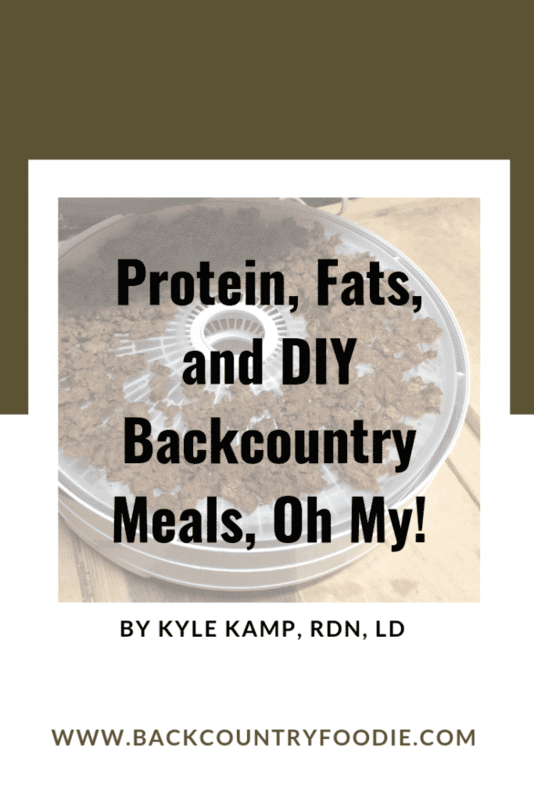 Fats are a bit easier to come by, but a nutrient often neglected in preparing DIY backcountry meals. Nuts, oil, and powdered goodies can really add calorie-density to a meal and help with nutrient absorption. Backcountry nutrition is about more than simply “surviving” the evening. It’s about performing well, recovering optimally, and enjoying a hard-earned meal after a tough day of hiking. Give these ingredients some thought before your next endeavor. I can promise you it will trump rice and a few packets of seasoning. Ready to start making your own backpacking meals but need some inspiration? Our Pinterest page is a great resource including loads of DIY backpacking breakfast, lunch, dinner, snack and dessert recipes. We also have boards dedicated to gluten-free, vegetarian and vegan backpacking recipes. Be sure to check it out!